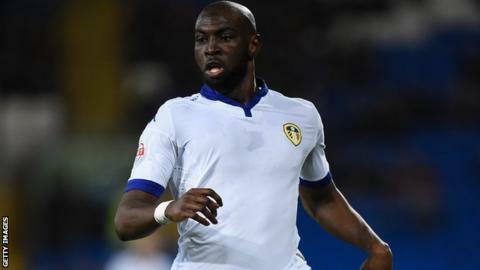 Leeds United striker Souleymane Doukara has been banned for eight matches for biting an opponent. The 24-year-old was charged for an incident in his side's 1-1 Championship draw with Fulham on 23 February. It is understood the bite was on Cottagers defender Fernando Amorebieta. The Football Association said in a statement: "[This] was considered a non-standard case given the seriousness and both unusual and violent nature of the misconduct." Doukara, who denied the charge, has also been fined £5,000. Leeds United said that they were "disappointed with the outcome and the length of the ban" but would not be commenting further until the full written judgement has been released. The ban means Doukara will be unavailable until the final game of the season. Barcelona forward Luis Suarez has served three bans for biting during his career. The Uruguay striker was banned for nine international matches and suspended from all football activity for four months for biting Italy defender Giorgio Chiellini during the 2014 World Cup. Dagenham & Redbridge midfielder Joss Labadie has been banned for biting twice in the past three years. He was handed a 10-match suspension for a bite while with Torquay in 2014 before being given a six-month ban after biting a Stevenage player while playing for the Daggers last March.